Brace yourself for bucket loads of sweat and bags of glitz and glamor. 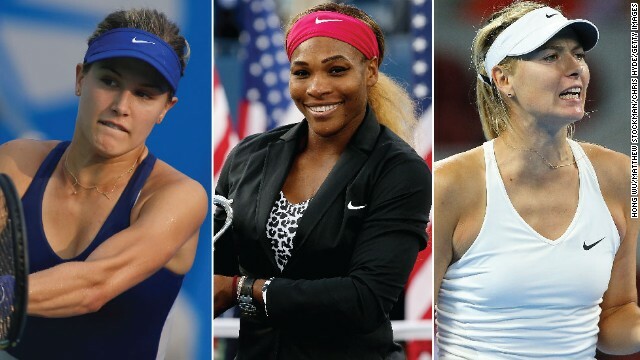 The season-ending championship of women's tennis -- the WTA Finals -- is almost upon as the world's top female players prepare to do battle in Singapore. Who will roar loudest in the "Lion City?" #1: Serena Williams: The No. 1 seed will soon start her title defense in Singapore. After a stuttering slam season, Willliams quieted her critcs by winning the U.S. Open to put her in elite company. She's now tied with Martina Navratilova and Chris Evert. Each have 18 grand slam singles titles. #2: Maria Sharapova: The No. 2 seed arrives in Singapore in good form after winning the China Open. Sharapova isn't just a hard court player -- she's had a lot of success on clay during the later stages of her career. In June, she added a fifth grand slam trophy to her cabinet when she won the French Open. #3: Petra Kvitova: The Czech Republic star is hoping to win the WTA Finals title like she did in 2011. In July, Kvitova beat Genie Bouchard in straight sets in a mere 55 minutes to claim her second Wimbledon title, three years after her first. #4: Simona Halep: The Romanian has qualified for the WTA Finals for the first time in her career. She started the year outside the top 10 -- then shot up the rankings to No. 2 in the world. Halep advanced to the French Open final in June before losing to Sharapova. #5: Eugenie Bouchard: The 20-year-old Canadian has had a stellar year after reaching the Australian Open and French Open semifinals before her Wimbledon final defeat by Kvitova. Bouchard is the youngest competitor in the draw. #6: Agnieszka Radwanska: Poland's top female player won the Rogers Cup in August in Montreal, but didn't have the results at the slams that she'd been hoping for. #7: Ana Ivanovic: The former No. 1 is back in the top 10 for the first in five years. She started the year by upsetting Serena Williams at the Australian Open before losing in the quarterfinal, and has won four WTA titles this year. #8: Caroline Wozniacki: Like Ivanovic, the former world No. 1 is now back in the top 10. The Dane capped off a successful summer by advancing to the U.S. Open final where she lost to her close friend Serena Williams. This is the first time in three years that Wozniacki has qualified for the WTA Finals. 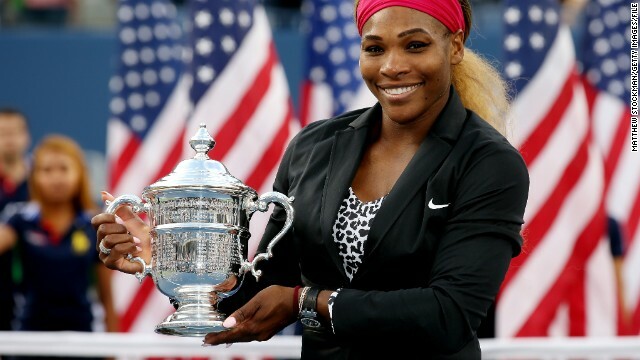 (CNN) -- It's been that type of year for Serena Williams. Williams collected her 18th grand slam singles title at the U.S. Open in September to match retired legends Martina Navratilova and Chris Evert but prior to that didn't get past the fourth round at the three other majors in 2014. The world No. 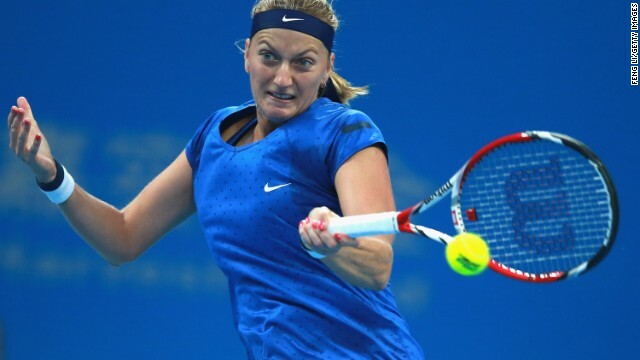 1 recently retired due to illness in Wuhan, China and then was a walkover in Beijing with a knee injury -- and on Wednesday at the WTA Finals in Singapore she suffered the joint worst loss of her career. Simona Halep battered Williams 6-0 6-2 to leave the two-time defending champion in danger of being eliminated in the group stage. It matched the number of games won by Williams in 1998 -- when she was just 16 -- against South Africa's Joannette Kruger in Oklahoma. Williams, two days after looking sharp in defeating Ana Ivanovic, made 36 unforced errors in the 14 games and the encounter lasted a mere one hour and five minutes. While Halep went 5-for-6 on break points, Williams went 0-for-6. "Embarrassed is the way I would describe how I played," Williams told reporters. "Definitely embarrassing." "My forehand was off today. It's obviously gone on an early vacation. My serve was at best at the 10-and-under division of juniors." In summary Simona Halep played great. Good job and Good luck. Halep improved to 2-0 in the Red Group. The Romanian -- one of two debutants at the WTA Finals along with Canada's Eugenie Bouchard -- entered the year-end championships in patchy form but she limited her own unforced errors and covered the court with aplomb. Halep had lost both her matches to Williams last year, with the latter inflicting two "bagels" -- or 6-0 sets -- of her own. "It was my best match of my life," Halep told reporters. "I played unbelievable shots. At an important time I played really well and after today my confidence will be more high." Ivanovic eased past a listless Bouchard 6-1 6-3 later Wednesday. Both players hit 20 winners but Bouchard committed 31 unforced errors compared to the Serb's 18. Caroline Wozniacki and her pal Agnieszka Radwanska posted upset wins Tuesday over Maria Sharapova and Petra Kvitova, respectively.